For the all grain home brewer there are two basic methods available to extract the sugars from the mashed grain. Fly or continuous sparging or Batch sparging. A third is no sparge, but that isn’t part of this discussion. 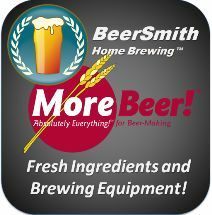 Most home brewers have used the continuous sparge method and it is very widely accepted because it works. It has drawbacks in two areas, time and over sparging. 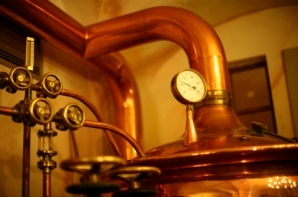 To continuous sparge a typical mash can take 60 to 90 minutes and during this time you must maintain the temperature of your sparge water in the 75 – 80 Celsius range to remove all converted sugars. As a continuous sparge nears the end the pH of the grain bed can rise above the optimum pH of 6 and extract husk chemicals that contribute to astringency and off flavours. Another problem can be a rise in the sparge water temperature with heat applied as the water level drops in your HLT. High water temperatures and an increase in grain bed pH can spell doom for your beer even before you begin your boil. Now, having painted a less than glowing picture of continuous sparging, I have to say many home brewers use this method without any problems at all. The other factor with continuous sparging is the time and attention required for the 60 – 90 minutes. The other method and the method I use is batch sparging. If you ask three brewers to define batch sparging you will probably get three different methods, that’s the beauty of home brewing. With any new method in any field you need to examine what you are going to do so that you understand the reasons why before committing 5Kgs of pale malt and a free afternoon. Do allow about 5% more grain the first time you use this method as you may have slightly less efficiency compared to fly sparging. Or on your beer software set the efficiency to about 72% instead of 75% and the program will tell you the malt bill you need to reach your specific gravity. You need to know accurately your pre-boil volume. You should already know this from experience with your brewing setup. Your mash is conducted as normal. Lets work on a pre-boil volume of 30 litres after sparge in the kettle. My mash/lauter tun is a rubber maid 19litre cooler with stainless steel bottom. We will be making a Scottish Ale with 5kgs of grain and 11 litres of mash water . Now some reasonably simple math. The 5 kgs of grain will absorb its own weight in water therefore you will get 6 litres less the sparge vessel dead space as your first “drain”. Each system will have a different amount of dead space at the bottom of the lauter tun. My system is about 300 mls, a very small amount while a bucket in bucket system may be 2 litres. The amount doesn’t matter as long as you know what is is approximately. At this point you may think I have consumed one too many ales because we now enter a new land of no return. A bit dramatic but you will see what I mean. The figures below are not 100% accurate but are very close. Total sparge water needed is about 30 litres [allowing a safety factor]. Actual is about 25 litres. Total boil 30 litres at start of boil. We will be doing three drainings from the Lauter tun. With my system, a Rubbermaid cooler I have room for about 5 extra litres of sparge water immediately at the end of the mash…. I don’t do a mash out as such. If you do, that mash out water is your top up value. So from the above figures we get a first drain off the lauter tun of about 10.7 litres. My procedure is fairly simple and sparging is complete in about 20 minutes. I achieve the same efficiency with batch sparging as I did with continuous sparging. When the mash is complete add your top up water or mash out and then with your trusty mixing paddle stir up the grain bed VERY THOUORLY but GENTLY and do not foam. Yes you did read correctly. “ … stir up the grain bed VERY THOUORLY but GENTLY and do not foam.” This action helps release sugars still in the grain but already dissolved. The next action is to collect about 500 – 700 mls off the bottom of the sparge vessel in a jug and recirculate this gently to the top of the grain bed. I place a piece of aluminium foil with holes punched in it on the top of the grain bed and this helps clarify the wort. Recirculate about 4 or 5 times. This is important as it ensures good extraction rates. Don’t be too concerned about totally clear run off as some small particulate gives proteins something to bind to in the first break and drop out of the wort. Now open the tap and drain the lauter tun completely into the kettle. I open the tap on my tun fully and never get a stuck mash. Open your tap as much as you are comfortable. Low heat can be applied to this wort collected in the kettle. Because the grain is saturated with water it theoretically won’t absorb any more water however I have found I tend to need about 1 extra litre additional to the next draining volume when I fully drain the tun. You may need more or less. Hence the “safety factor water”. Close the tap and add your next 10 litres + [the one extra litre] = 11 litres … mix thoroughly then recirculate as above and drain the tun. After this second draining the full heat of the flame can be applied. Repeat for your final 11 litres as above. If you find you fall short of your boil volume add your safety factor water to the grain bed, let it sit for about 5 minutes and then drain the required amount to make up your boil volume. The safety factor amount is allowed for until you sought out “your” particular requirements. It is important to maintain 75 – 80 celsius for the duration of the sparge. Don’t be tempted to skip the recirculation on any of the drainings, if you do you will be out on your final extraction gravity. If you have already calculated the amount of water needed using fly sparging to give a particular boil volume that amount will work with batch sparging as well. When you try this method the first time allow the safety factor water though. If you use a larger Lauter tun you can use more top up water and possibly have only one additional draining. With only two drainings your efficiency “may” be less though. One thing is certain …. Your brew day will be far less stressed.